Can you help? 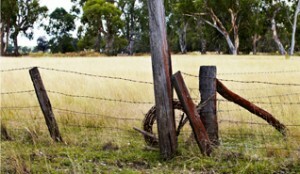 | Farmgate Honey Farmgate Honey Can you help? Farmgate Honey | Bees are Sweet! As many of you know the Honey Bee is in trouble and needs all the help it can get! One of THE greatest threats is the loss of places to put our bees. As beekeepers we shift the bees from place to place depending on the time of year, rainfall and flora. We shift our bees in a 500 km radius around Brisbane working all the different types of trees and ground flora .Due to urbanisation and habitat loss it is harder to find places for us to put our bees to access the floral resource. If you own a property in the radius area indicated on the below map please contact us and we would be happy to come see if your place would be a good location to put our bees. 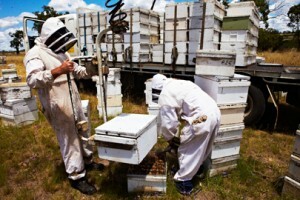 Participating landholders get 10kg of honey a year regardless if we have bees there or not each year.